Join us for National Hunt racing at one of Britain’s oldest racecourses, where racing has been taking place on the banks of the River Severn since 1718. 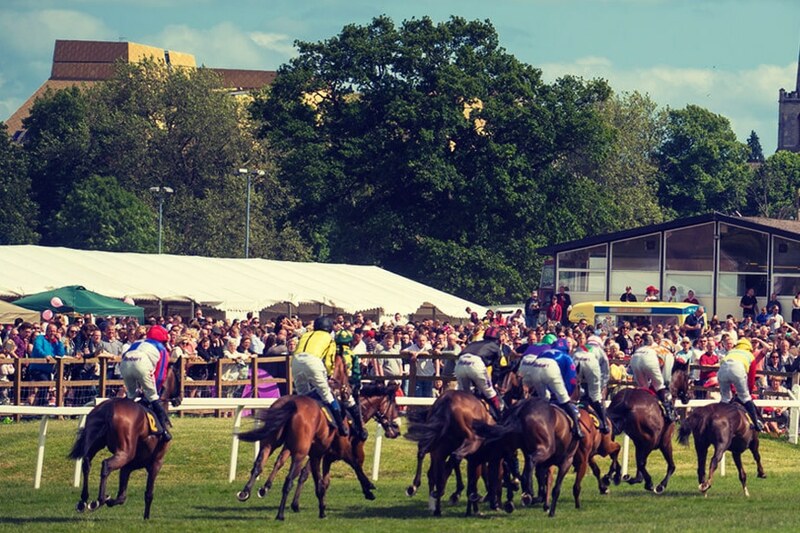 The racecourse is situated at Pitchcroft, close to the heart of Worcester, with its unique shopping, numerous tourist attractions, and restaurants offering a wide range of cuisine. The fixture list covers 20 National Hunt meetings from May to October making Worcester a popular summer jumping destination. 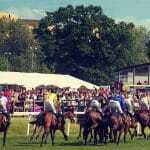 Highlights of the horse racing calendar at Worcester include the famous Ladies Day on the first Saturday of June, where over 10,500 enjoy the Epsom Derby on the big screen, as well as 7 thrilling jump races at Worcester, the best-dressed lady competition and a live tribute band after racing. This event is always a sell-out so make sure to book in advance to avoid disappointment. Two family fun days take place during the race season, in June and September, where children under 18 go free plus there is plenty of free entertainment for the children to enjoy, from pony rides to giant inflatables. This is a great value day out for the whole family, so why not bring a picnic and enjoy a memorable day out with the kids at the races. New fixtures for 2019 include the Las Vegas Racenight on Friday 24 May, where the bright lights of Las Vegas come to Worcester with plenty of entertainment at this evening horse racing fixture. Super Irish Saturday on Saturday 15 June is a brand new addition to the Worcester calendar, with an evening of summer jump racing and entertainment from the Emerald Isle making this sure to be a firm favourite for years to come. To view the full list of fixtures and ticket prices please visit the website at www.worcester-racecourse.co.uk or call email info@worcester-racecourse.co.uk for a fixture list. CHILDREN UNDER 18 GO FREE TO ALL FIXTURES! Please telephone the booking office on 01905 25364 or consult the website for race times.